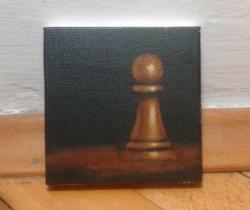 Pawn is very interesting chess figure. It is the weakest figure of all and it moves slow, but if the pawn manage to come to the end of the opponent side, it can become any figure (except King). In chess terms, it is called “promoted”. I love to see it as transformation. Do not despise pawns. You never know what they may become.